NEW ORLEANS, LA. – The NOPD has arrested 17-year-old Lawrence Simmons in connection with an auto theft. The incident occurred on Tuesday, December 30, 2014, in the 6900 block of Bunker Hill Road. Around 5:30 p.m., a 35-year-old male mechanic told officers he was working on a 2007 orange Hummer in front of his residence when he went into his home for a brief moment leaving the keys in the ignition. Moments later, he walked outside and noticed the Hummer backing out of the driveway. The mechanic followed the hummer in his vehicle, but lost sight of it near the intersection of Morrison Road and Crowder Boulevard. Around 9:30 p.m., officers were able to locate the Hummer from its LoJack tracking device near Bullard and Interstate 10. When officers activated the lights and sirens, the Hummer sped off westbound on the interstate. After a brief vehicle pursuit, the Hummer stopped in the 6700 block of West Laverne Drive where the driver and passenger fled from the vehicle on foot. Shortly thereafter, the driver, identified as Simmons, was apprehended in the 6700 block of Dorian Street while the passenger remains at large. 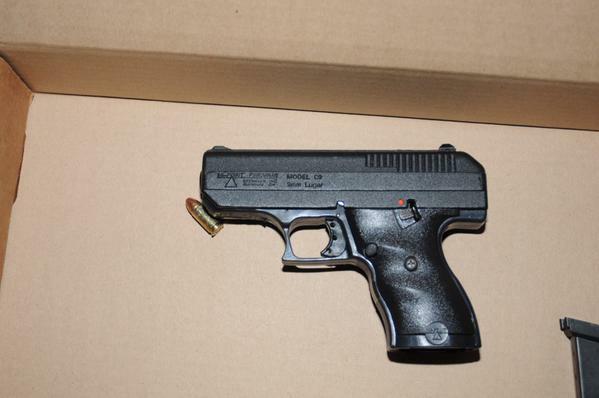 During the foot pursuit, the front passenger was observed discarding a loaded pistol. Simmons was booked into Central Lock-up and charged with Auto Theft, Resisting Arrest and several traffic offenses. NEW ORLEANS, LA. – The NOPD is investigating the fatal shooting of a 27-year-old man. The victim was shot this evening around 4:15 p.m., in the 3200 block of Ptolemy Street. Officers were called to investigate a “man down” inside of a blue Kia SUV. When officers arrived they found the victim suffering from multiple gunshot wounds to the body in the driver’s seat. The victim died on the scene. Investigators are currently in the process of interviewing witnesses and gathering evidence, as well as a motive. Homicide Detective Wayne DeLarge is in charge of the investigation and can be reached at 504-658-5300. NEW ORLEANS, LA. – The NOPD is investigating the shooting death of an unidentified male. The incident took place December 29, 2014, in the 1400 block of Kerlerec Street. At approximately 11:00 p.m., police responded to a call of shots fired. 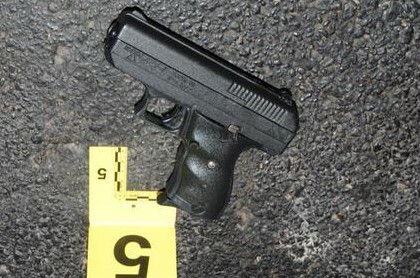 When officers arrived, they found the victim fatally shot lying on the sidewalk. Homicide Detective Clifton Givens is in charge of the investigation and can be contacted at 658-5300. The Coroner will release the identity of the victim after notification of family members and will perform an autopsy to determine the exact cause of death. Citizens with information about this crime are asked to call Crimestoppers at 822-1111 or toll-free 1-877-903-STOP(7867) or Text your crime tip to C-R-I-M-E-S (274637), Text TELLCS then your crime information. You could receive a cash reward of up to $2,500 for information leading to the arrest and indictment of the person(s) responsible. You do not have to give your name nor testify to receive the reward. Citizens can also submit an anonymous tip online to Crimestoppers at www.crimestoppersgno.org. NEW ORLEANS, LA – The NOPD is asking for the public’s assistance in identifying and locating an unknown male wanted in connection with a business burglary that occurred on December 24, 2014, at the Mount Olivet Cemetery, located at 4000 Norman Mayer Avenue. Shortly before 9:00 p.m., the suspect gained entry into the business by defeating the locking mechanism on the front door to the office building. Once inside, the suspect ransacked the office and attempted to gain access into the safe, but was unsuccessful. The suspect subsequently fled the business without taking anything. The incident was captured on surveillance video and can be seen through the link below. Third District Detective Raionda Edgerson is in charge of the investigation and can be reached at 658-6030.